It's the magic phrase uttered by almost anyone who's ever considered the cost of home remodeling: "We'll get it back when we sell." Unless you keep those projects practical, though, you might just be kidding yourself. Master suite addition costing more than the average American home: Bad. Every year, Remodeling magazine looks at the hottest home upgrades and renovations and calculates just how much owners get back with they sell. Upkeep is more popular than upgrades these days, says Sal Alfano, editorial director for Remodeling. These are the projects that often recoup the biggest slice of expenses at resale. But prices and returns do vary regionally, he says. Ever wonder what brings the lowest return when you plant that "for sale" sign? Think high-dollar, high-end and highly personalized add-ons that make you drool. Like a totally tricked-out garage built from the ground up. Or a super luxe master suite addition. Or the home office redo designed just for you. Here are the six improvements that, in their 2010 report, ranked dead last nationally when it comes to getting those renovation dollars back at resale. Create a news alert for "real estate"
Want to get an idea what today's office-away-from-the-office looks like? Walk into Starbucks. These days, a home office consists of a multiple-choice combination of wireless laptops, smartphones, PDAs and touch-screen tablets. And that worker bee might be toiling anywhere from a home patio or a favorite restaurant to a park bench. The standard home office renovation, meanwhile -- complete with plenty of built-in storage and high-tech wiring -- is this year's biggest loser in the resale value sweepstakes. Nationally, homeowners spent an average of $28,888 and can expect to recoup about 45.8 percent at resale, according to the report. Return on investment doesn't reflect your enjoyment of the space, Alfano says. 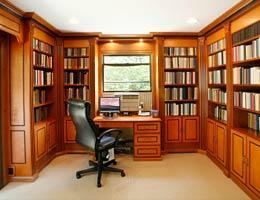 He offers two tips for home-office remodelers when they sell. First, opt for something that can be easily converted back into a bedroom or den for (or by) the next buyer. Second, when you're selling, call it a study, den or hobby room. 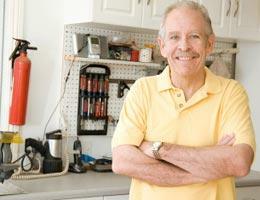 "There's lots of call for multipurpose space. Don't lock yourself into that one use," Alfano says. Don't use words that invoke images of actual work. Or the office. 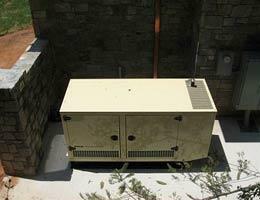 You see a backup generator and imagine all of the comforts no matter what the weather. On average, when homeowners have a heavy-duty backup power generator installed, they spend about $14,718, according to the report. Going with a slightly less expensive model or having a less complicated installation could cut the costs significantly, Alfano says. Average amount of the price recovered at resale time: 48.5 percent. Real estate agents will tell you that potential buyers want square footage, pristine condition and lots of light. So a brand-new room that has the word "sun" in it, it has to be great for resale value, right? Your first clue: The word "addition" -- which means expanding the footprint of your home -- indicates that this is not a renovation for the faint of heart (or wallet). "It's one of the more expensive projects," Alfano says. 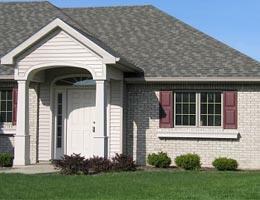 While it seems simple enough, the national average for a sunroom addition is $75,224, according to the report. Homeowners can expect to recoup about 48.6 percent when they sell. That doesn't mean that adding a sunroom is always a bad move. 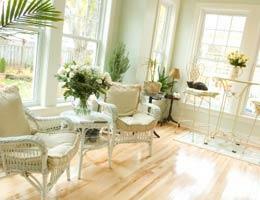 If your home needs another common area, a sunroom could be the answer, says Katie Severance, co-author of "The Complete Idiot's Guide to Selling Your Home." An addition is best considered in the context of the whole home, she says. "The doctor has to treat the whole patient. You have to look at the house and say 'What's out of balance?'" Who doesn't want to wake up in a five-star-hotel-quality suite with an attached spa bathroom and a kitchenette that affords you coffee and pastries before facing the world? Once you see the price tag, it won't just be the coffee keeping you up at night. For a super-deluxe master suite addition -- which adds square footage and uses only top-dollar materials -- the average cost is about $232,062, according to the report. That's 460 nights at a posh resort with enough left over to raid the minibar. In years past, this project was "sort of a trend in vacation homes" that migrated to primary dwellings, Alfano says. Sellers can expect to recover about 52.7 percent at resale. Your buyer can purchase a newer house with the same features as part of the original floor plan that "probably lays out better anyway," says Loren Keim, author of "How to Sell Your Home in Any Market." So while the next buyer may appreciate your luxury accommodations (which could even tip their decision in your home's favor), chances are they won't want to pay the full tab for your remodel. Unless you're a hermit who never entertains, you've probably wished for an extra bathroom now and then. But bathroom additions require serious coin. For a moderately outfitted addition with synthetic stone or plastic laminate surfaces, figure parting with about $21,695, according to the Remodeling report. Go upscale, with finishes like premium marble or fine tile, and you can easily spend in the neighborhood of $40,710. Either way, you get about the same return: 53 cents on the dollar. "In the buyer's mind, the additional bathroom isn't worth that additional $20,000 to $40,000," Keim says. 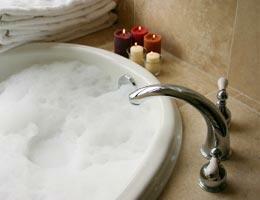 Investigate a less-expensive way to get the same result without flushing quite as much cash. While additions usually cost more, pros might be able to reconfigure your existing space to add a bathroom for less, Alfano says. Instead of cleaning out the garage, how much would you pay to have a new one built from scratch? This time, it would have all the organizational built-ins, and a durable, easy-to-clean floor to ensure it would never be messy again. And windows for natural light. Oh yeah, and you could store a couple of cars in there, too. The price tag for a top-of-the-line detached two-car with all the trimmings is about $90,053, according to the report. You can expect to recover about 53.6 percent of that when you sell. "This one is completely decked out on the inside," says Alfano. "It's a dream garage." And that's likely some of the problem with recovering the value at resale. Says Keim, "You've got a very small target audience out there that wants an upscale garage."